I don't even know half of those (let alone the rest...) but for some I am simply interested to see how you like and rate them. I probably should have left Rocky Balboa off the list of possibilities. As I just recently reviewed it. A good 2 or 3 months ago when I got the disc from the library. Then went out and bought myself a copy. But who knows... may watch it again. But you can see my review for it HERE. I originally watched this back in 1987 when it first came out. And I haven't watched it since... well till now. I went into this one remembering I enjoyed it... but at the same time was disappointed that it took place on Earth. And I went into it worried it would not hold up for me. After all these years the effects themselves really didn't hold up. But I still enjoyed the characters and the story. Though I would have preferred a storyline where they did not come to Earth... one that would have mirrored the series more... it was still entertaining. I know it is a real cheese-fest of a movie. But that can be fun at times... and it is in this case. At least for me. The cast was decent. 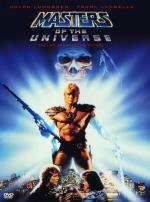 I think Dolph Lundgren could have done better as He-Man. And I did enjoy seeing this early appearance of Courteney Cox... who I enjoyed in the short run series Misfits of Science not to mention the much more recent Friends. Though her character really was there for little more then to be chased after and to be manipulated. Over-all I did enjoy it... but I do think it lost a little something for me over the years. I would say it is a little above an average movie. I did enjoy seeing this early appearance of Courteney Cox... who I enjoyed in the short run series Misfits of Science not to mention the much more recent Friends. 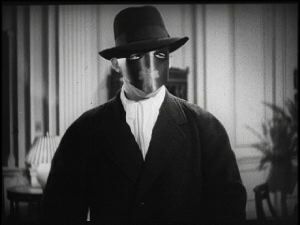 Faced with rising crime and increased racketeering activity, intrepid newspaper editor Britt Reid (Gordon Jones) becomes the crime fighter the Green Hornet. Donning a disguise, the Hornet and his brilliant Korean inventor/sidekick Kato (Key Luke) fight an infamous racket that’s menacing their city. The first couple chapter has been really good. I liked how Britt Reid is smart enough not to let on he is even on the Green Hornet's side at this point... let alone that it is him. Rich... just so we are clear... my Blue Steel is the 1934 John Wayne Western... not the 1989 Jamie Lee Curtis cop movie. I meant to clarify that at the time... still want the review? This is one of the movies in that 20 Disc/40 Movie boxset I got free for subscribing to Total Movie Magazine. I enjoyed the movie... though it was a little on the slow side. And it dropped the comedy that was present the first half of the movie. I think without the comedy that the first half had... the show became a little too slow and political for my taste. If it found a way to keep the comedy throughout the movie I think I would have enjoyed it more. Since this movie is a part of that box set I was expecting practically nothing when it came to the quality. But I was presently surprised as the movie looked and sounded very good. The best quality I have seen from that set so far. Still enjoying this serial. Quality could be better... especially the sound... as it is constantly going up and down in volume by itself. But that just gives me more of a reason to get the new Release that just recently came out. As much as I hate to say it... real life is getting in the way of my movie watching this weekend. So I am going to put The Green Hornet to the side for now... in hopes that I can get an extra movie or 2 in this weekend. Michael Douglas stars as Nick Curran, a tough but vulnerable detective. Sharon Stone costars as Catherine Tramell, a cold, calculating, and beautiful novelist with an insatiable sexual appetite. Catherine becomes a prime suspect when her boyfriend is brutally murdered - a crime she had described in her latest novel. Obsessed with cracking the case, Nick descends into San Francsico's forbidden underground where suspicions mount, bodies fall, and he find within himself an instinct more basic than survival. This is a movie I haven't seen in many years. I think it is a good murder mystery/thriller. And I really enjoyed Sharon Stone's.... uhhh... performance in it. Yeah that's it... that is what I was thinking... honest! Anyway... I enjoyed the movie... glad I finally added it to my collection. I can definitely see myself watching it again. I always like Basic Instinct. It's trashy as hell, but a decent enough plot gives it a backbone. Oh I agree... and besides... who says trashy can't be good! Remember the good old days when anyone with a camera, a few thousand bucks, and more ambition than talent could schlep up to Bronson Canyon and quickly make a cheap sci-fi/horror movie? Well, they're back! THE LOST SKELETON OF CADAVRA is an affectionate, meticulous re-creation of those notoriously cheesy clunkers, as a gaggle of beloved stereotypes pursue "that rarest of all radioactive elements - atmosphereum." Writer/Director Larry Blamire heads a superb cast - including Fay Masterson (Eyes Wide Shut), Andrew Parks (Donnie Brasco), Brian Howe (Catch Me If You Can) and Jennifer Blaire (The Majestic) - that faced a daunting task: having to be brilliant and terrible at the same time! It's one of the most original, clever, and hilarious comedies to come along in eons of your Earth years! This is one of the many movies our good friend Roger sent me this month. This is an independent movie that I have heard got a lot of praise. It is an homage to the old '50s Sci-Fi movies that was made back in 2001... to the point that they actually made it in black and white. I went into this one really not expecting a lot... but was hopeful. Of course this is a very cheesy film. But even so... it is very entertaining in an odd way. If you ever seen some of those '50s Sci-Fi films you can't help to laugh at this movie. Though I would admit this is definitely a movie you would have to be in the mood to watch. I couldn't imagine trying to watch a movie this silly and cheesy without being in the mood for it. I doubt I would enjoy it half as much. Damn family problems and commitments really got in the way of my movie watching this weekend. Hopefully I will be able to do better next weekend.